Junto con juramentos, hemos ganado un prestigioso premio y el Festival Mundial de Premios al Mejor Evento, el Jurado del Evento, la Limpieza del Océano, el Premio al Mejor Evento y las categorías de Eventos sin fin de lucro. Piet-Harm estaba y Oporto para recibir el premio. Mascotte (‘Mascot’), our new film made with director Remy van Heugten and writer Gustaaf Peek, has been selected for the Co-Production Talent Market event at the Berlinale International Film Festival. Producer Joram Willink is attending this festival in order to present the project to potential co-production partners, sales agents and distributors. The film Ga niet naar zee (‘Don’t go to sea’) by director Sander Burger has been selected for KORT! 2018 and its production is now fully underway. 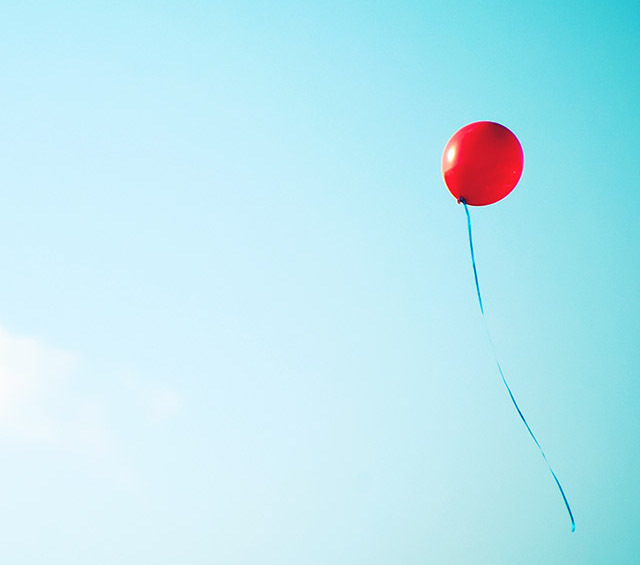 The screenplay is based on the short story Ballon by Tommy Wieringa. The films will enjoy their cinema premiere at the Netherlands Film Festival 2018 and will be broadcast on the NPO 3 channel by the Dutch broadcaster NTR. DThis year too, BIND had the creative responsibility for the opening ceremony and the Saturday evening show for the anniversary edition of the World Port Days event. The World Port Days event is an annual event during which everybody can get to know all the different working parts and innovations of the Port of Rotterdam. During the Saturday evening show, such illustrious showbiz names as Level 42, Nielson and Sabrina Starke wowed the crowd from the gigantic ship BigRoll. The show was broadcast live and was presented by Jan Versteegh and Geraldine Kemper. The show was accompanied by, and ultimately spectacularly concluded with, a firework display. Jungle received no less than two nominations for Golden Calf awards at the Netherlands Film Festival, namely in the categories Best Television Drama and Best Actor in a Television Drama. In early August, more than 1500 dealers travelled from India to the Netherlands for the Dealer Event for India’s biggest automotive battery brand Exide. On one of the days, for instance, the guests were treated to a spectacular programme of content at the World Forum in The Hague. 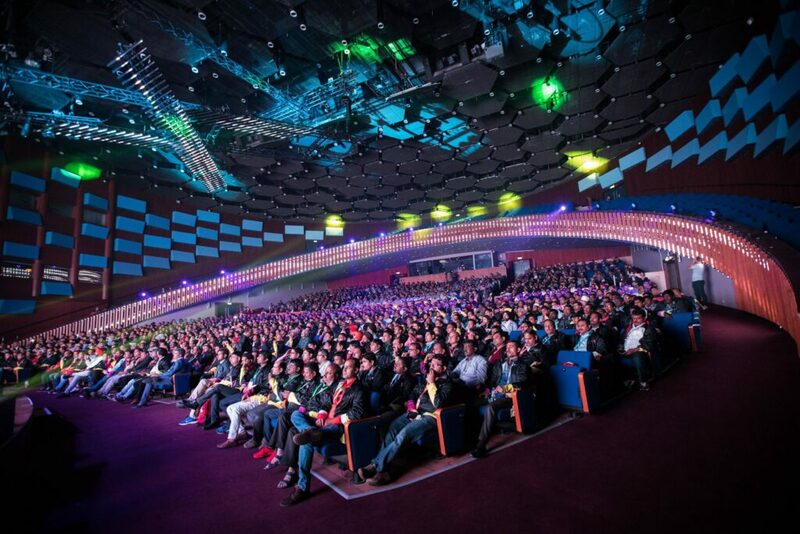 It was a real brand experience, with special interludes, product launches and an impressive high-tech stage setting. Naturally the brand’s Indian roots were catered for too, with an appearance by one of India’s most famous Bollywood stars. BIND was commissioned by the D&B event marketing agency and Jurlights to produce the creative content for this show. Our Superstar VR film has been selected for entry to the Golden Calf competition at the Netherlands Film Festival. During the festival, the film will also be viewable in a special limousine that will be parked on the Neude – Utrecht’s central plaza – for the whole week. You can sit in the limousine and view the VR film, and for a whole 12 minutes you will feel that you are a huge global superstar. 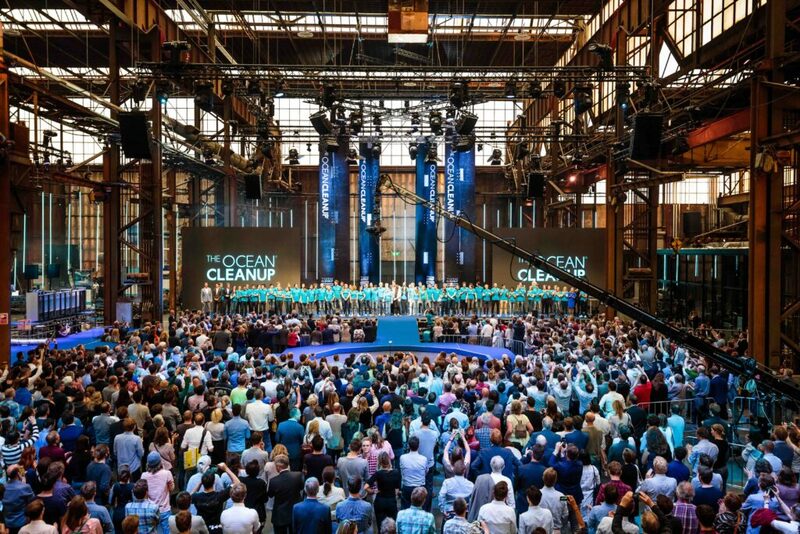 On 11 May 2017, The NeXt Phase Event was held in the Werkspoor Cathedral in Utrecht for a few thousand guests via a global livestream at which event the founder Boyan Slat presented all the latest developments regarding The Ocean Cleanup programme and announced that the first system would be installed in 2018. BIND had joint creative responsibility with Jurlights for this event. Boyan’s presentation was supported by spectacular visual and physical elements, and boasted a finale in which the four 12-metre high anchors, mainstays of The Ocean Cleanup’s new system, were unveiled. After the show, a specially created exhibition was opened at which The Ocean Cleanup team were on hand to inform all the guests about the various aspects of the project. There was also a foodtruck section for the guests, where sustainable meals and beverages could be eaten and drunk. The entire presentation can be seen HERE. In March, the new visitor centre SHIP (Sluis Haven (Lock Port) Information Point) next to the set of locks in IJmuiden was officially opened. This new building houses a permanent yet changing exhibition on both the North Sea Canal region and the new large-scale sea lock. As commissioned by design agency Podium, BIND was able to create a wonderful film in which you travel on three ships through the North Sea Canal region. The initial responses from the visitors were extremely positive. Our short film Gamechanger has been officially entered for the film competition at SXSW. South by South West (SXSW) in Austin, Texas is one of the USA’s largest and most prestigious festivals. Director Christian van Duuren is travelling to America in early March to attend the festival. Gamechanger has also been entered for a film competition on Dutch soil, namely for the Go Short 2017 competition. 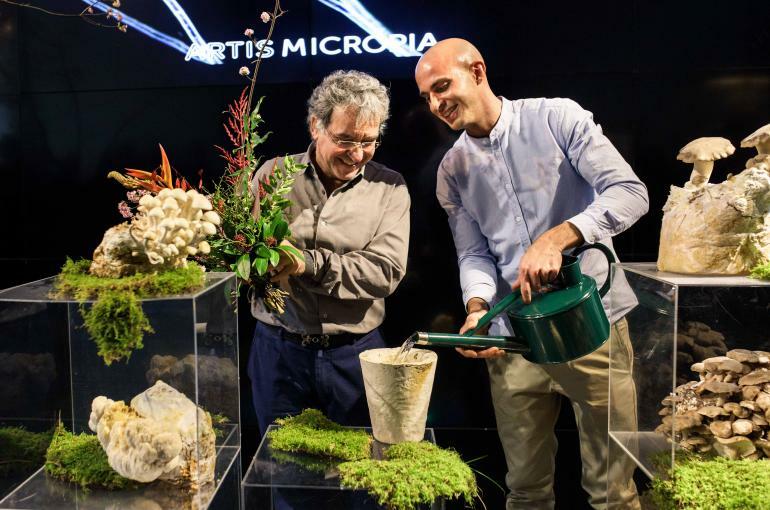 In early February, Amsterdam’s Micropia museum of microbes inaugurated a new display under the name ‘The future is mouldy’. BIND worked with animator Rens Wegerif to create another lovely animated film that shows you how you can use mould to make all kinds of different materials. This film can now be seen at the Micropia. 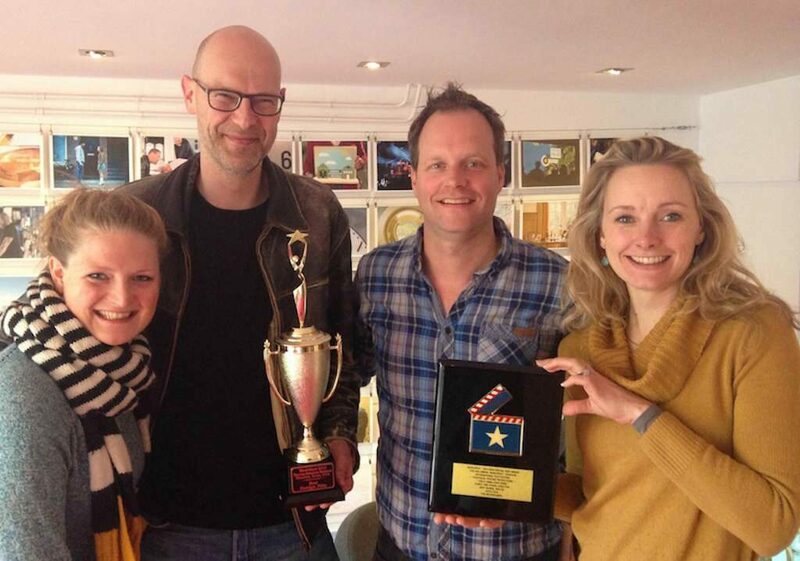 Over the last week, Koningsdag won three awards at film festivals held at various locations all over the world. 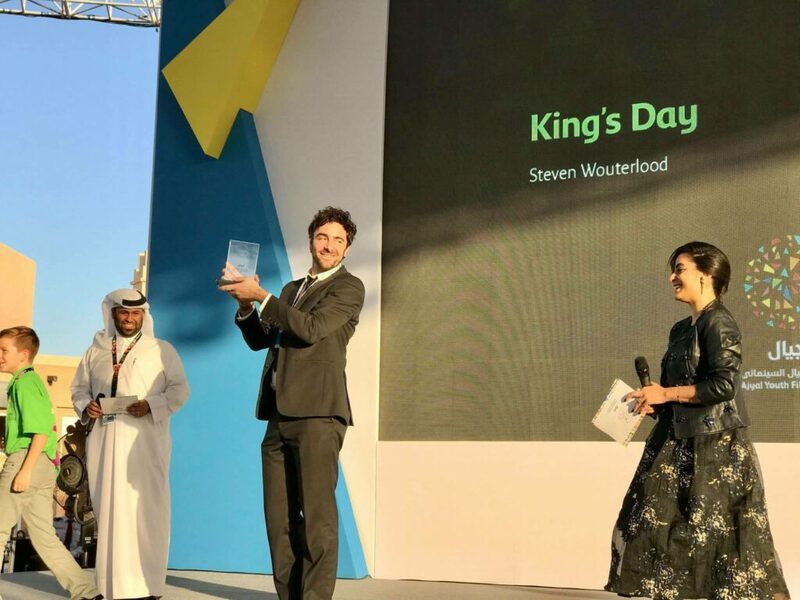 It all began in Qatar, at the Ajyal Youth Film Festival in Doha, where director Steven Wouterlood was presented with the jury award for the best short film. Last weekend, we also won the award for the best short film at the Smile International Film Festival For Children and Youth in Delhi, India. 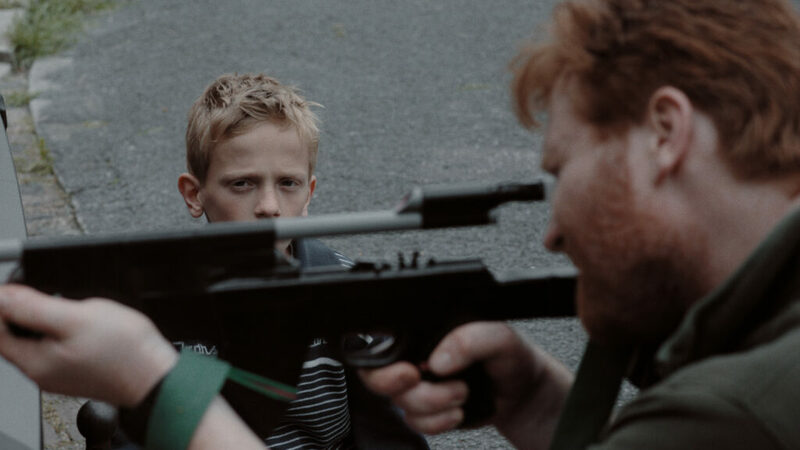 The film also won at the Olympia International Film Festival For Children and Young People in Greece, where Alles Mag (Anything Goes) also took home awards last year. 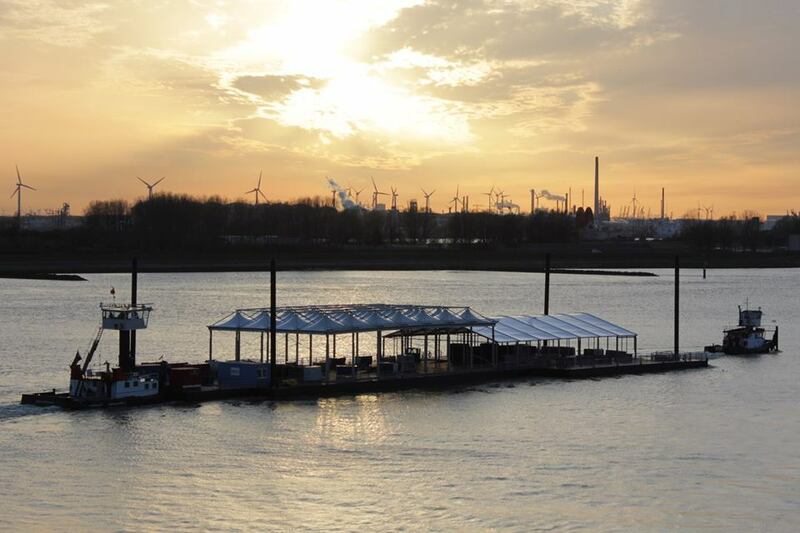 On 7 December, together with a team from BIND, we officially opened the new Breeddiep inland waterway. 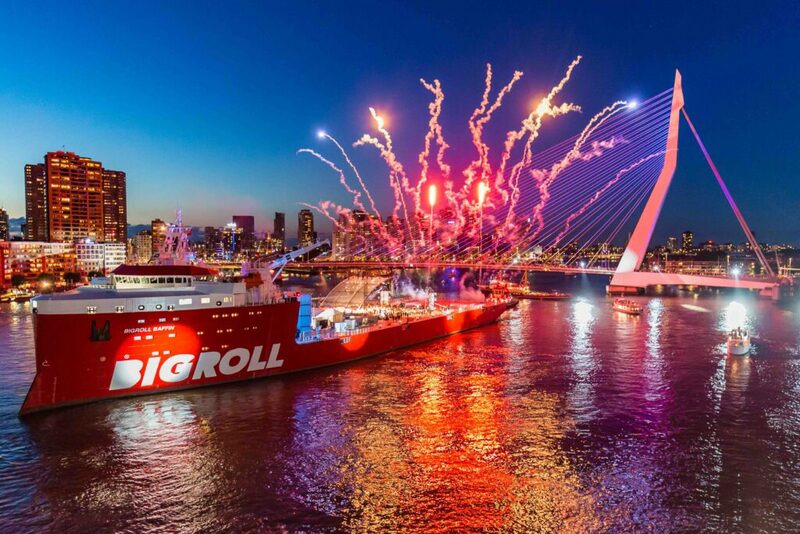 This crucial connection for inland navigation in Rotterdam was literally put in the spotlights, and we were responsible for the concept and production for this festive opening. By widening the passageway to the Breeddiep, it is now safer and more easily navigable for the 50,000 ships that sail through here each year. 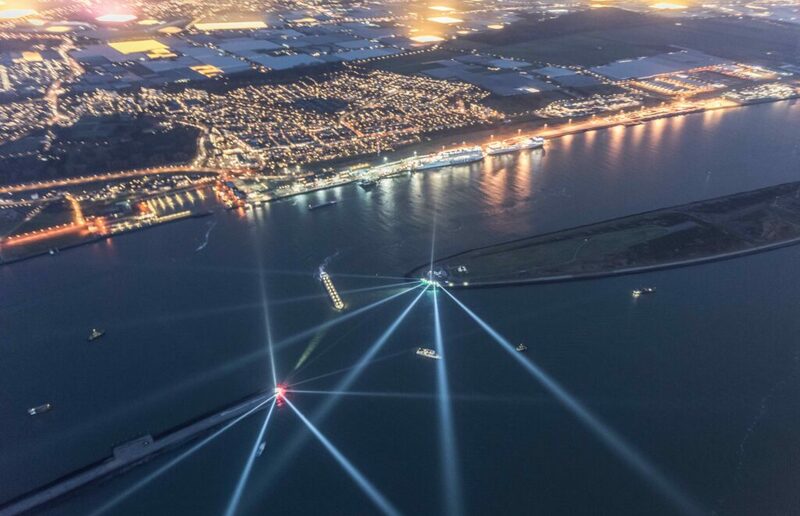 After a catchy introduction given by cabaret performer Tim Hartog, the first inland vessel officially sailed through the entrance during a spectacular light show. Some 90 guests were treated to this spectacle from another ship anchored in the Breeddiep. 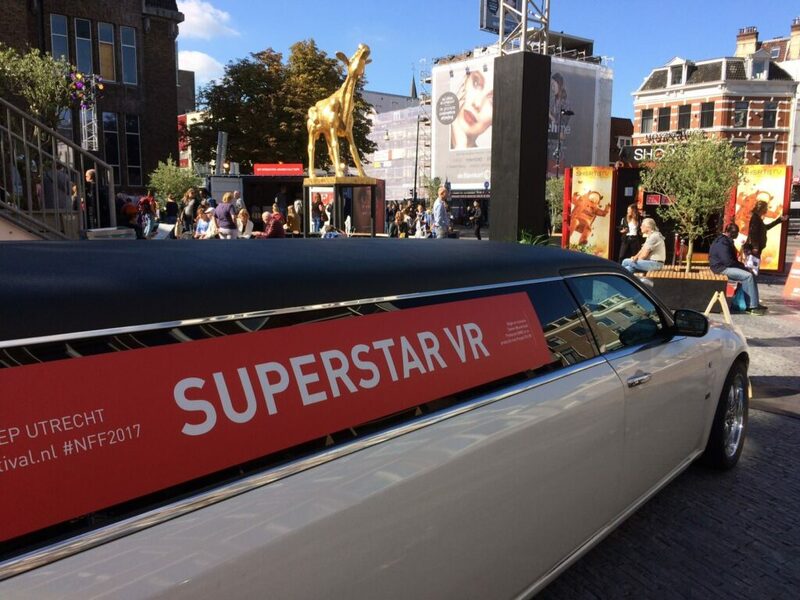 On Saturday, 15 October, Superstar VR premiered at the Cinekid festival. Directed by Steven Wouterlood, this new 360-degree narrative film is told entirely from the first-person point of view. What does it feel like to be an internationally renowned star? In this film, viewers experience a day in their life as a famous DJ. Over 100 guests attended the screening of the film during the premiere. Visitors can watch the VR film during the entire week of the festival in a limousine parked at the centre of the Cinekid venue. The film will ultimately go on tour in the Netherlands, where it will also be included in the interactive exhibit Let’s YouTube at the Sound & Vision Institute in January and May 2017. The World Port Days (Wereldhavendagen) is an annual event that gives visitors the opportunity to learn more about the many facets and innovations the Port of Rotterdam has to offer. On board the navy ship the HNLMS Rotterdam, together with Allard Castelein, director of the Port of Rotterdam Authority and lieutenant-general of the Royal Netherlands Navy, Rob Verkerk, Mayor Aboutaleb gave the starting signal for the 2016 World Port Days. BIND developed the creative concept for the opening, in which two robots and video screens played a starring role. We were also charged with the creative responsibility for one of the highlights of the World Port Days, the Saturday evening show! 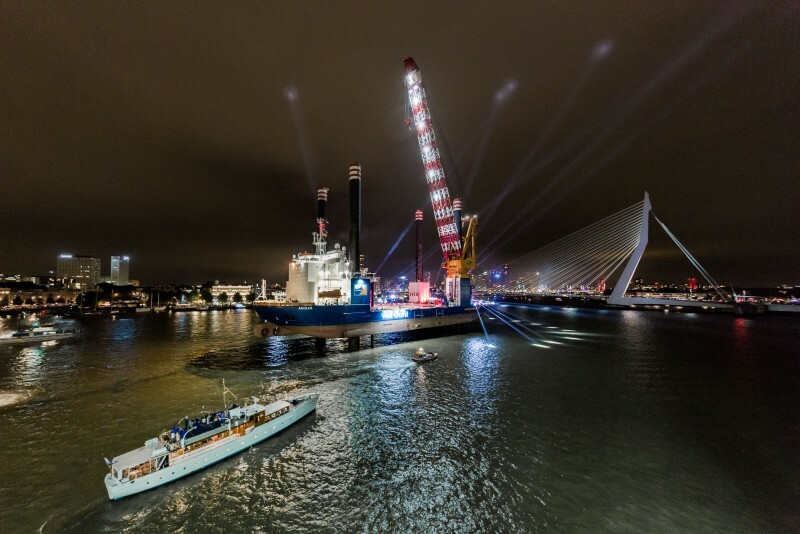 With Van Oord’s Aeolus as a stage, and amazing performances by Maan, Kypski, Nicole Jordan, Zuco 103 and the Royal Marines Band, it was a spectacular show, capped off with a fantastic fireworks display. BIND will also be responsible for the Saturday evening show at next year’s anniversary edition of the World Port Days in 2017. Our new short film, Gamechanger, produced within the context of NTR KORT! (directed by Christian van Duuren, screenplay by Daan Gielis), will premiere soon at the Netherlands Film Festival. KORT! is the ultimate annual short film project. 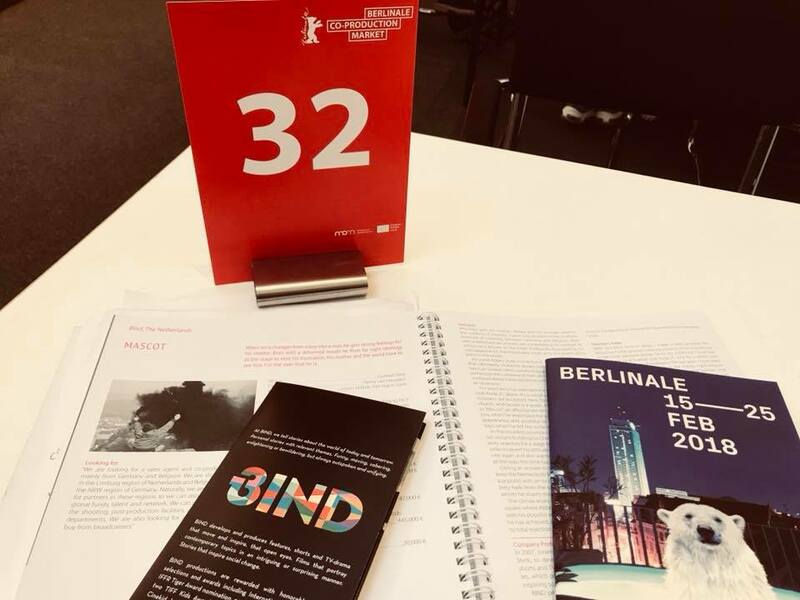 The Dutch Film Fund, Mediafonds and the NTR made a selection of ten short fiction films from the 95 entries submitted, each of which are five to ten minutes long. In Gamechanger, on his way to yet another tour of duty abroad, thirty-year-old Max gets caught up in a game with the young boys next door. Max gradually loses sight of reality, and the boys lose their innocence. There has been a lot of good news for the short film King’s Day over the past few weeks when it comes to worldwide film festivals. We have officially been nominated for the Golden Calf Award at the Dutch Film Festival, and the film has also achieved great success on an international level; it has been nominated for awards at the LUCAS International Film Festival (Frankfurt), Ajyal Youth Film Festival (Doha Institute), Kinodiseea International Film Festival (Romania) and last but not least, the International EMMY Kids Awards (shortlist). The Gamechanger project from director Christian van Duuren and written by Daan Gielis has been selected for KORT! 2016, and will be going into production soon. KORT! is a collaborative project between the NTR, the Dutch Film Fund, and the Mediafonds, with support from the CoBO. The goal is to work together to stimulate Dutch short films. The films will make their cinema premiere at the 2016 Netherlands Film Festival, and will be broadcast by the NTR on NPO 3. At the invitation of De Boer Structures, Piet-Harm gave several presentations at the Best of Events International events trade fair in Dortmund (Germany), the goal of which was to inspire visitors and share his knowledge with them. 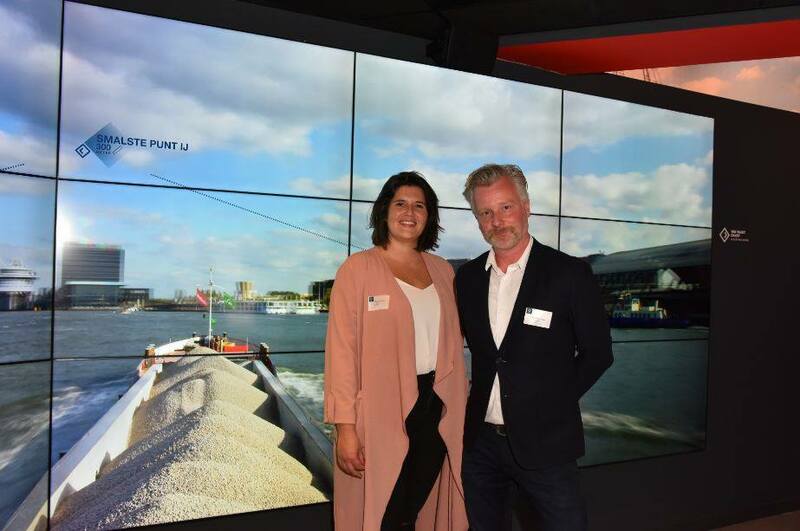 Piet-Harm provided examples based on the opening ceremony of the APM Terminals at Maasvlakte 2: ‘The entire range of technology used was an amazing way to support the story during the event, but technology is only an aid in creating the stories. These stories have to remain authentic, and really move people.’ As a result of the presentations, several articles appeared in the German media such as Memo Media, Studien Institut and Famab. 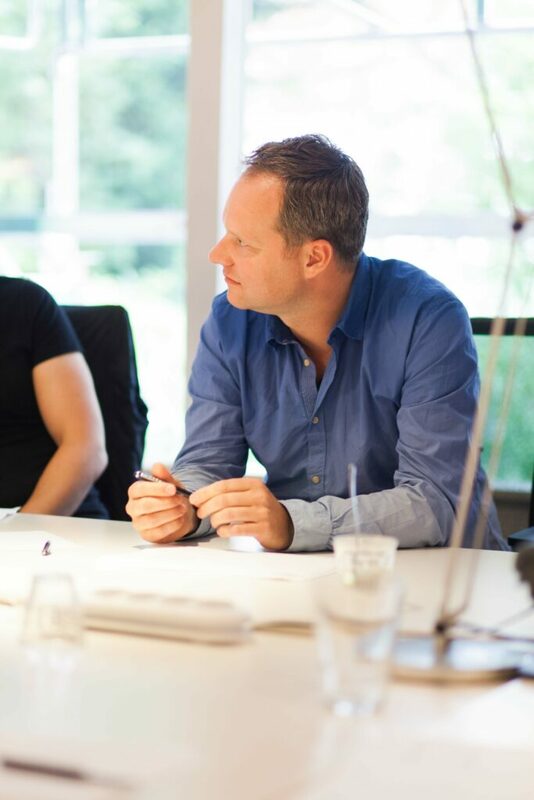 De Boer also wrote a great report on the presentations. BIND is taking the next step. Joram has been selected to participate in the most prominent training and development programmes for producers. EAVE is a one-year workshop for producers who are already working in the film industry and are interested in expanding their co-production knowledge and skills in Europe and would like to build a large, international professional network. Each year fifty participants are selected to take part in three intensive workshops held throughout Europe. The first workshop will start in the first week of March 2016 in Luxembourg. The second and third workshops will be held in Lithuania and Prague. International sales agent Coccinelle has sold the multiple award-winning Gluckauf to HBO Europe. 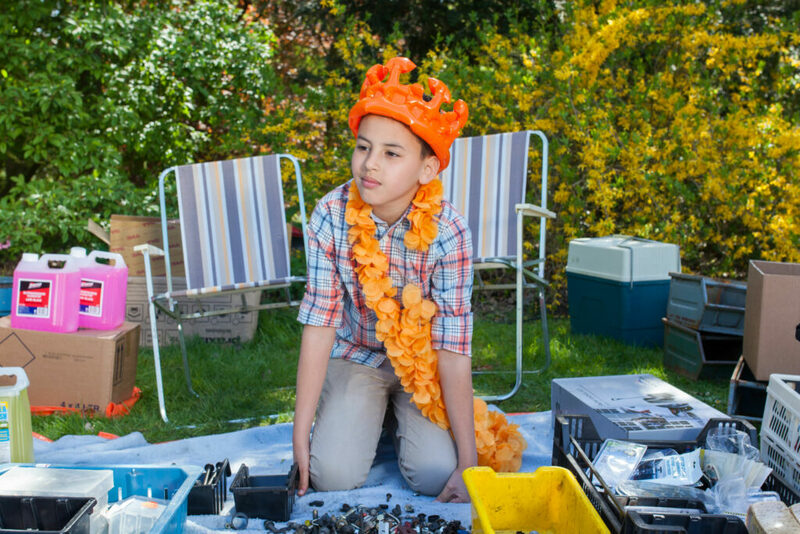 The short children’s film, Koningsdag (King’s Day), has been selected to compete at the prestigious Toronto International Film Festival Kids. This sure brings back memories – this is where the victory tour of Alles Mag once began. The same team of the director, writers, producers, cameraman, art department, editor, sound design etc. collaborated to make Koningsdag. 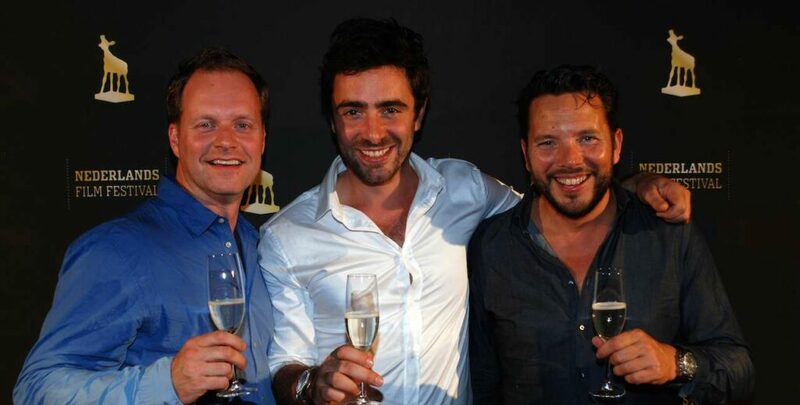 In 2014, Alles Mag won the jury prize at this festival, an honour that was followed by many other awards, including the International Emmy Award. The film festival will be held in April 2016. 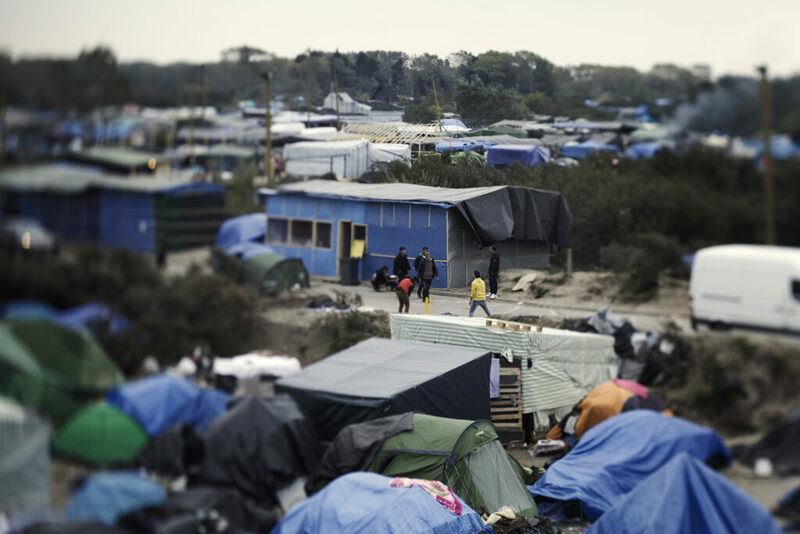 The twelfth edition of One Night Stand has started, and the Jungle project from director Hetty de Kruijf and scriptwriter Ashar Medina has been selected for development as a screenplay, with BIND’s help. One Night Stand is one of the most important incentive projects for talented film and television makers in the Netherlands. ‘By far the most exciting and my personal favourite of the whole competition. This is a container terminal launch; for heaven’s sake can you think about anything more boring? Yet the way they implemented the whole project was remarkable. 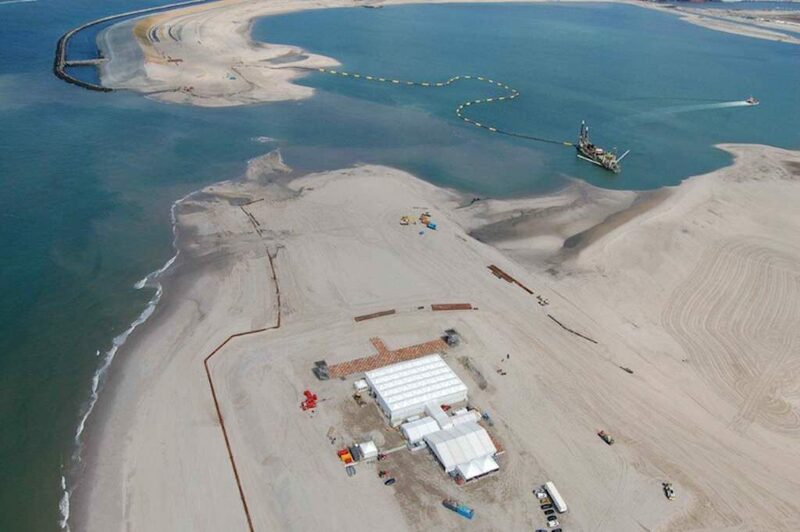 The opening ceremony of APM Terminals at Maasvlakte 2 has been nominated for the 2016 Golden Giraffe Event Awards in the Brand Events category. 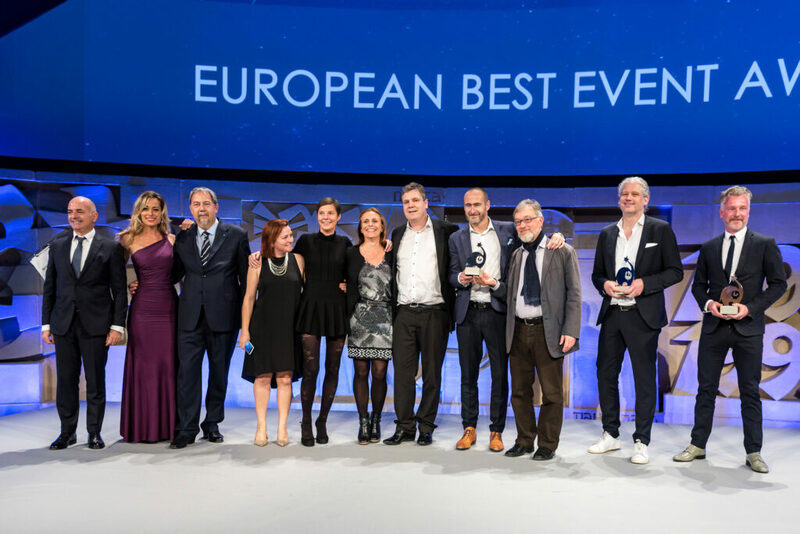 The opening of the APM Terminals container terminal at Maasvlakte 2 at the Port of Rotterdam won the European Best Event Award in the Launch Event category at the top festival for European event industry in Seville, Spain. The event also won one of the three Grand Awards, for which 140 events in total competed for the prize. As creator and producer of the spectacular opening event in Rotterdam, Piet-Harm was there to accept the award in person. The jury emphasised that all the elements of this event had come together perfectly. 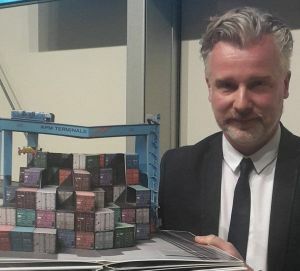 They also praised the unique partnership between APM Terminals and the creative team from BIND and Jurlights, as well as the very innovative technical efforts lying at the basis of the show. The jury said they were moved by the show which they said really made the container terminal come alive. With four Golden Calf awards, Gluckauf (Son of Mine) was the big winner this year at the Dutch Film Gala, and will be re-released in 22 cinemas nationwide. Although Remy van Heugten’s feature-length film had been shown previously in theatres in the Netherlands, it only drew 17,000 visitors. Having been showered with so many Golden Calves, the film sparked people’s curiosity. ‘With the re-release, we can give people another chance to see the film on the big screen,’ according to a spokesperson from the distributor, September Film. The cinemas contacted September Film with the request for a new release. With four Golden Calf awards, Gluckauf was the clear winner this year at the Dutch Film Gala. At the event held on 2 October in Utrecht, Remy van Heugten’s film took home the Golden Calf for Best Film (Joram Willink and Piet-Harm Sterk), Best Direction (Remy van Heugten), Best Screenplay (Gustaaf Peek), and Best Camerawork (Mark van Aller). 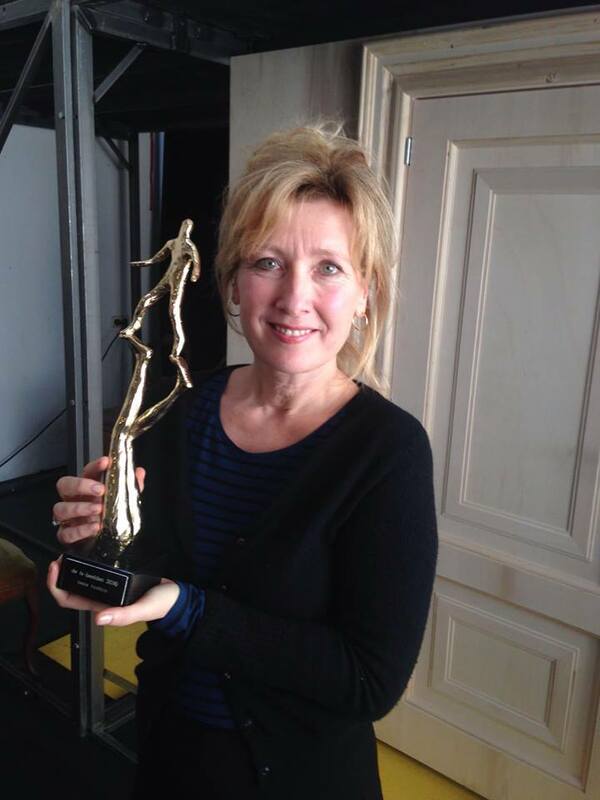 At this year’s Dutch Film Gala, Ariane Schluter won the Golden Calf for Best Actress in a Television Drama for her role in Aaron Rookus’s Een goed leven (A good life), a made-for-television movie produced by BIND. 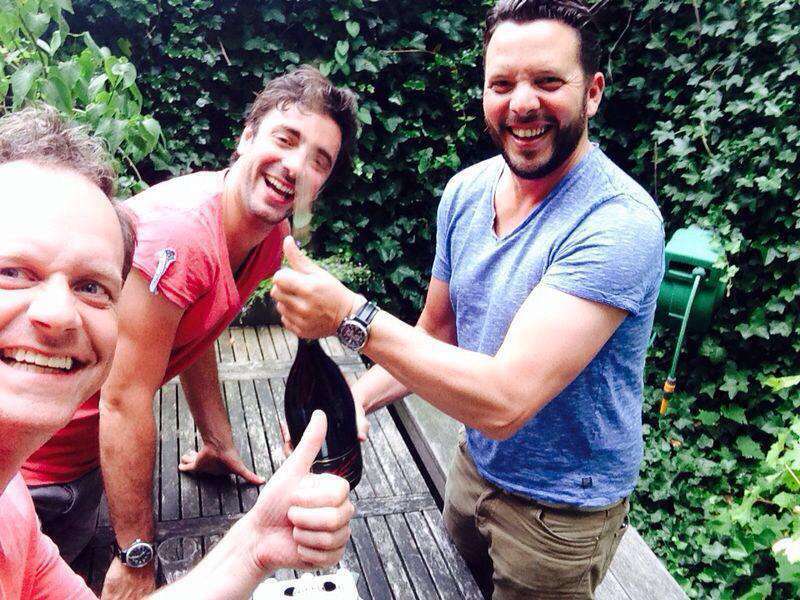 Een goed leven will be broadcast on 4 October 2015 at 10:30 p.m. on NPO3. Micropia, the museum that opened in 2014 in the historic Members’ Rooms (Ledenlokalen) at Artis and which offers a glimpse into the world of micro-organisms, has unveiled a new exposition: Gladiators in the Greenhouse. This exhibit shows visitors how microscopically small insect hunters are used in organic crop protection. Each year, insect infestations cause many billions of Euros in damage and losses in the (greenhouse) horticulture sector due to lower yields and inferior quality of the crops. The use of natural enemies can reduce economic losses considerably. 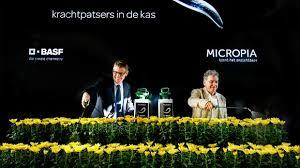 The use of natural enemies has become the standard method for pest control in the Dutch greenhouse vegetable cultivation sector. Jasper Kuipers created an animation for BIND that is used in the Gladiators in the Greenhouse exhibit. 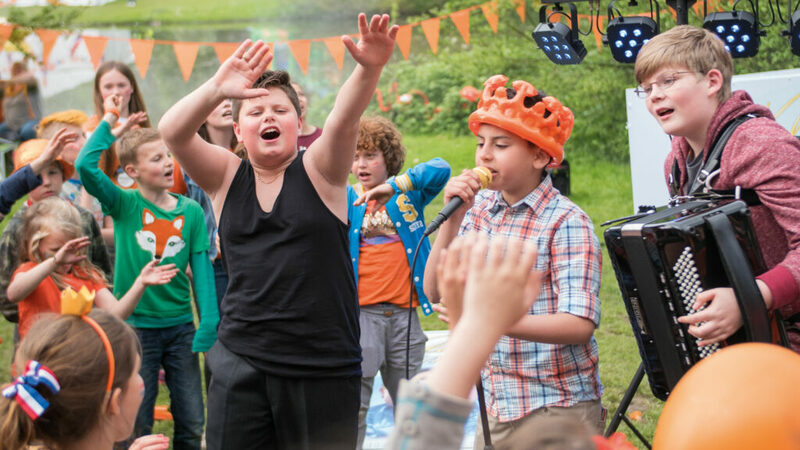 Koningsdag (King’s Day), the new children’s film from director Steven Wouterlood, is one of the six films which will open the Cinekid Festival in Amsterdam this year. The 29th edition of the festival will open on Thursday, 15 October with the screening of six new films from Nu of Nooit!, an incentive project from the Mediafonds and Zapp featuring culturally diverse children’s dramatic productions for the target group of 8 to 12-year-olds. These accessible, cinematic and originally told stories are 25 minutes long, and are rooted in our modern, multicultural society. The Cinekid Festival will be held this year during the half-term school holiday from 15 October through 1 November 2015. The complete programme will be announced in mid-September on www.cinekid.nl. We must admit it, we’re speechless. 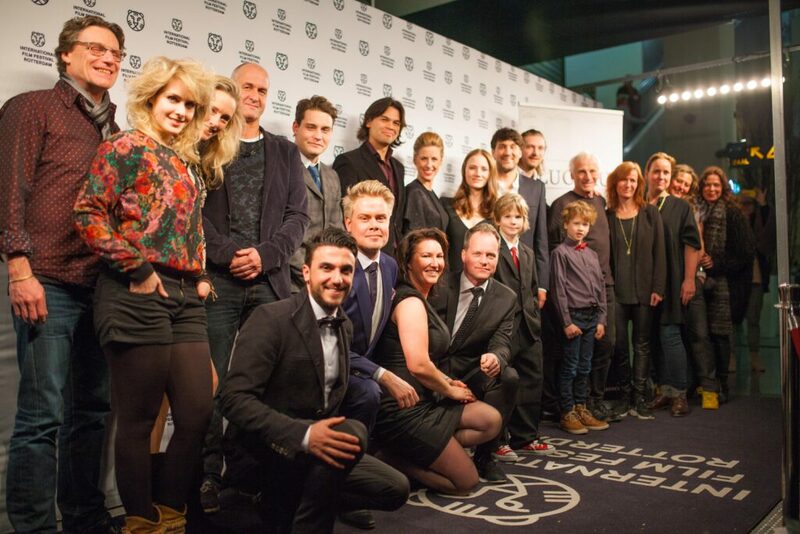 Last night at the Ketelhuis and live during the Dutch television program De Wereld Draait Door, the nominations for the 2015 Golden Calf Awards were announced in the presence of the cast and crew of Gluckauf (Son of Mine). Gluckauf was nominated for an amazing ten Golden Calf Awards: Best Film (Joram Willink and Piet-Harm Sterk, BIND), Best Direction (Remy van Heugten), Best Actor (Bart Slegers and Vincent van der Valk), Best Screenplay (Gustaaf Peek), Best Camerawork (Mark van Aller), Best Editing (Moek de Groot), Best Music (Jorrit Kleijnen and Alexander Reumers), and Best Sound Design (Alek Goosse and Francois Dumont). As if that were not enough, one of our ONE NIGHT STAND productions, Aaron Rookus’s Een goed leven (A good life), was also nominated for two awards: Best Television Drama and Best Actress in a Television Drama (Ariane Schluter). The Golden Calf Awards will be presented on Friday, 2 October 2015 at the Beatrix Theater, the final evening of the Netherlands Film Festival. 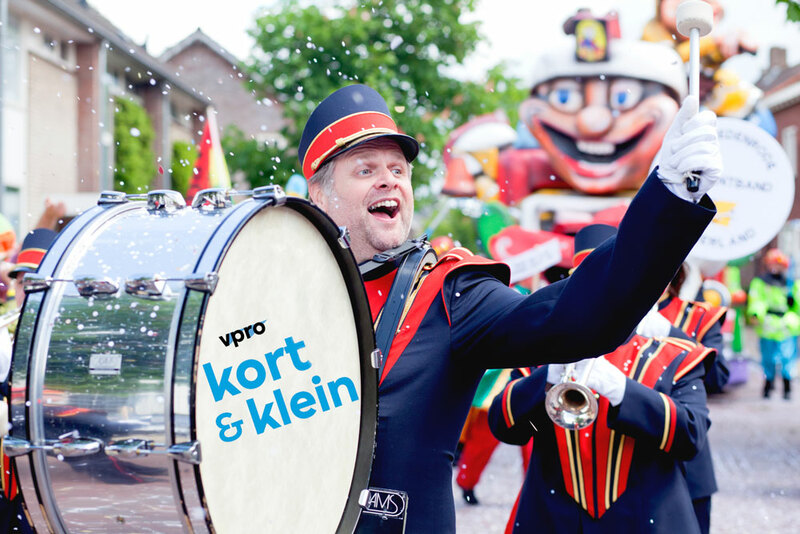 Our own Joram Willink will be one of the members of the jury at the Emmy Kids Awards. It is fairly rare for someone from the Netherlands to be asked to sit on the jury. Over the last few weeks, Joram has watched all the films that are competing for the award and cast his vote. Although this is normally a one-time honour, Joram now does have the opportunity to become a member of the Academy that awards the Emmys. If he does join the Academy, he may be asked to be a member of the jury more often. 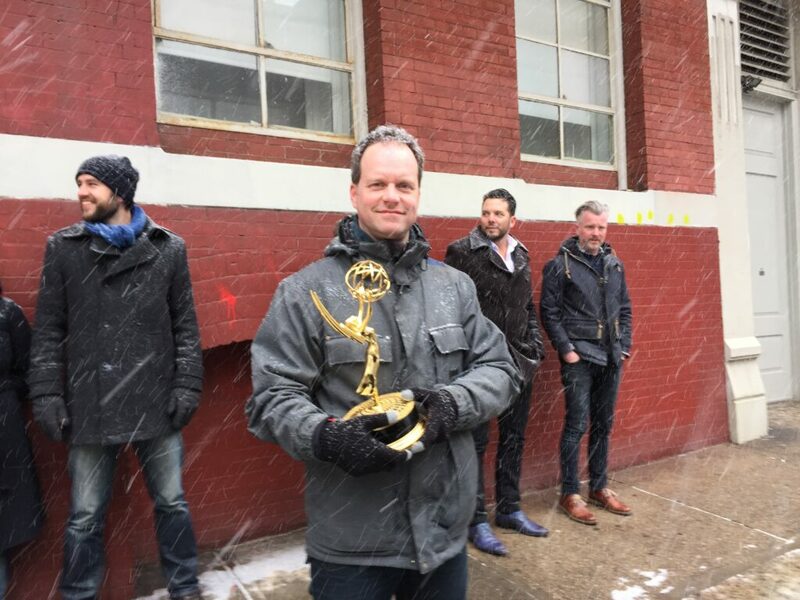 The Emmy Kids Award will be awarded in February 2016. The ceremony for the ‘adult’ Emmys is held earlier, in November. 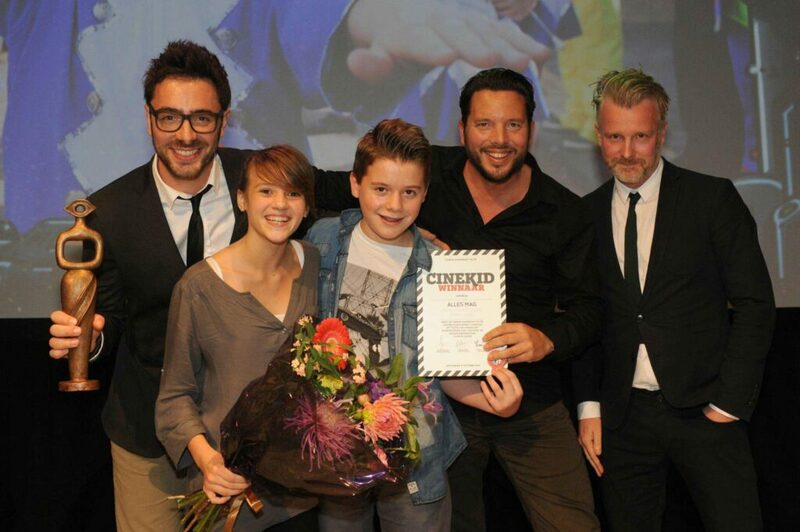 On Friday night, Gluckauf (Son of Mine) won the award for best screenplay at the Brussels Film Festival. 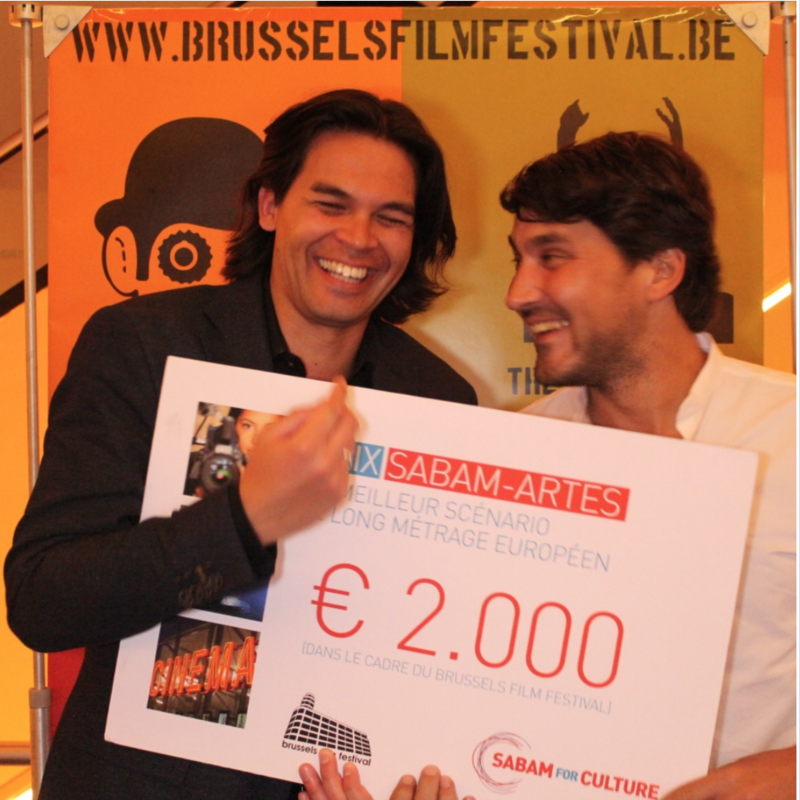 Director Remy van Heugten and scriptwriter Gustaaf Peek accepted the award in person. Gluckauf (Son of Mine) has won the Technical Grand Prize at the World Premieres Festival in the Philippines. Director Remy van Heugten accepted the award in person in Manila. The Technical Grand Prize is an award for the best technical achievements in camera, production design, performances, sound and film editing. APM Terminals Maasvlakte 2 open! On 24 April of this year, King Willem-Alexander officially opened the facility at APM Terminals at the Second Maasvlakte. The facility was officially opened when the King gave the signal to the terminal operator to start up the operation of the terminal. This was followed by a visual and technical spectacle, showing the various terminal cranes and AGVs (Automated Guided Vehicles) in operation, and 16 containers fitted with LED screens projecting text and images. There are currently more than 100 people from a variety of disciplines working hard on the last preparations for the official opening of APM Terminals on 24 April. 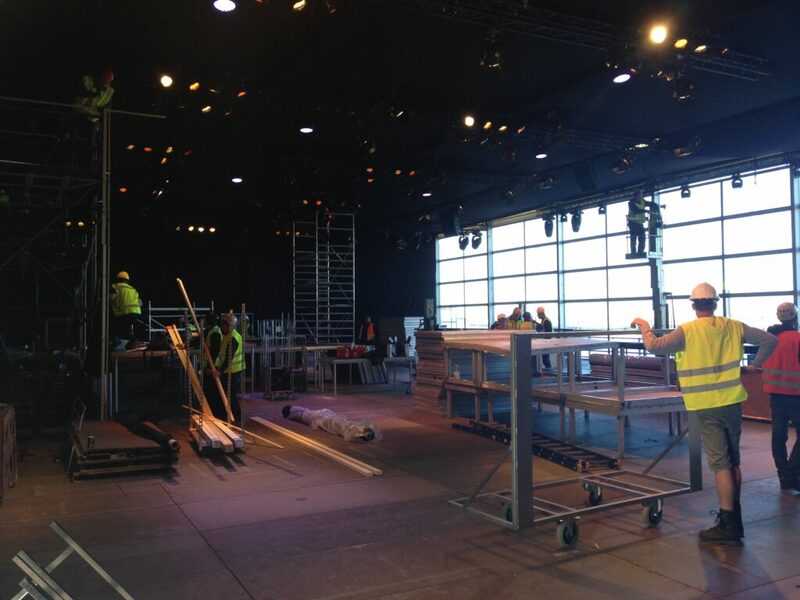 The floating theatre complex will be completely fitted with technical facilities and accommodations for the guests, and rehearsals are being held continuously on the terminal quay for the grand opening show. Led by the composers Jorrit Kleijnen and Alexander Reumers, an orchestra in Budapest was recorded playing the music written just for the opening of APM Terminals in the Port of Rotterdam. Since Kleijnen and Reumers’ composition contains a few difficult passages, the recording sessions were a major challenge for the orchestra, but this didn’t dampen the musicians’ enthusiasm one bit. 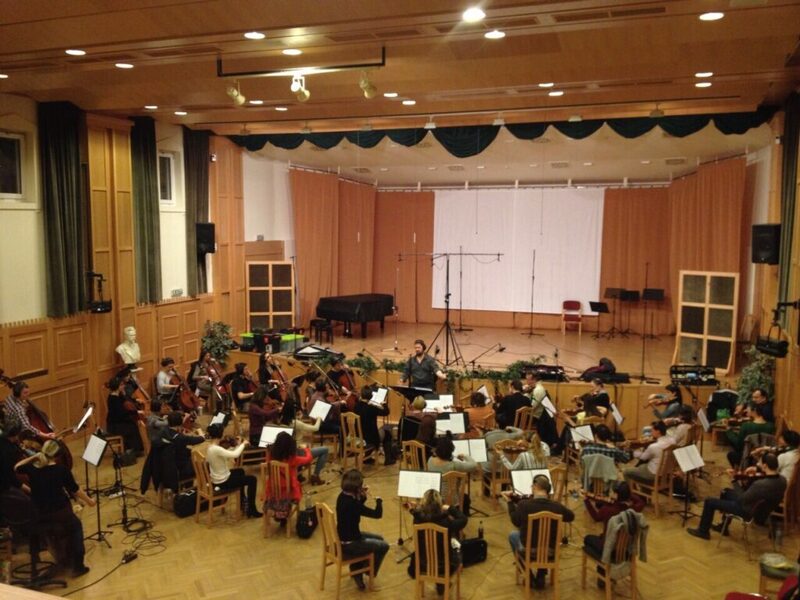 Art director Piet-Harm Sterk and conductor Marlon Bos were present during the recording sessions. BIND was contracted by the Port of Amsterdam to create several mini-portraits that provide a glimpse into the work environment of this dynamic company. 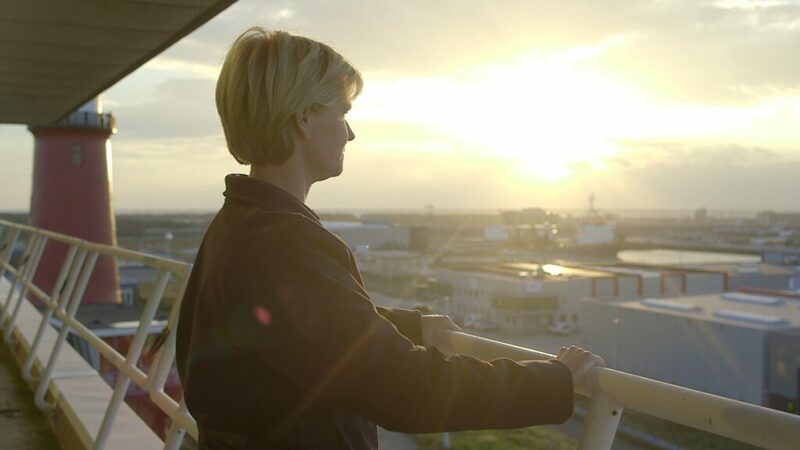 Entitled ‘Wij werken bij Havenbedrijf Amsterdam (We Work at the Port of Amsterdam)’, seven employees share their experiences, full of enthusiasm about what motivates them and the opportunities they have to grow and develop at the Port of Amsterdam. View the films here. In preparation for the opening of APM Terminals and after a week of building the structure, the 40 x 90 metre pontoon supporting the frame of the theatre set sail from Moerdijk on a six-hour journey to the Second Maasvlakte. During the following week, the finishing touches will be put on the entire floating complex, including the decorations and accommodations for the 1000 national and international guests, including King Willem-Alexander. For the opening of APM Terminals, 16 ocean containers will be fully refitted and modified to accommodate enormous LED screens, powered by double generators. 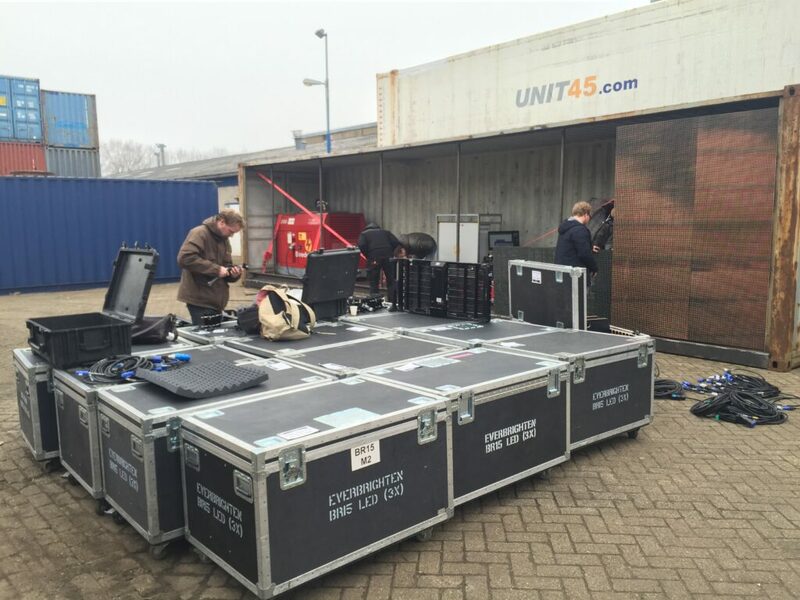 Displaying video content sent wirelessly, these containers will play the starring role in the grand opening show on 24 April 2015. ALLES MAG (Anything Goes) wins Emmy Award! After four months of eagerly awaiting the news, on Friday, 20 February of this year, the announcement was made that our children’s film Alles Mag (Anything Goes) had won the award for the category Kids: TV Movie/Mini-series. 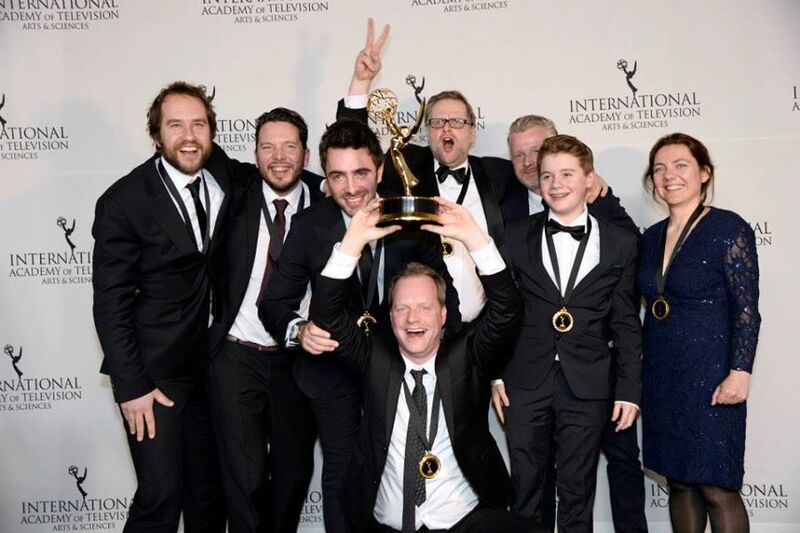 Steven Wouterlood and Joram Willink accepted the Emmy during the awards ceremony in New York, accompanied by screenwriters Maarten van Voornveld and Chiel van der Wolf, producer Piet-Harm Sterk, actors Lars Jennissen and Patrick Stoof, and editor Christine Houbiers. The Emmys are considered to be the most important international awards for television. This is the first time the Netherlands has won an Emmy Kids Award. The 22nd of January marked Gluckauf’s world premiere at the International Film Festival Rotterdam (IFFR), and was thus the opening film of the Tiger Awards Competition, the festival’s main competition. The IFFR is one of the world’s largest international art house film festivals, and was an excellent forum for the premiere of this new feature-length film from Remy van Heugten (Valentino and the television series, Van God Los). The premiere at the JT Kerkrade cinema was also a huge success. On Monday, 26 January, cinema-goers in Limburg were also able to see the film for the first time, and in a beautiful, large theatre. The photos from these two great evenings may be viewed on our Facebook page. Alles Mag (Anything Goes) is currently playing on the big screen, in some 17 cinemas. Entitled VPRO Kort & Klein, the three films Alles Mag, Munya in Mij and Johnny Bakru are touring cinemas together throughout the Netherlands. 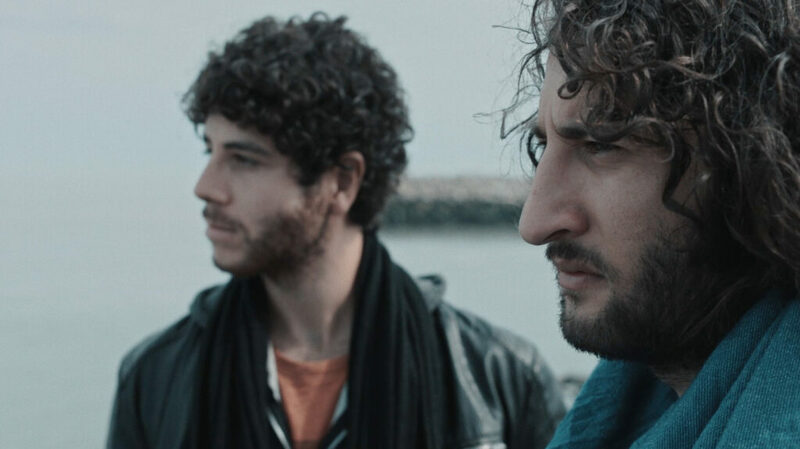 On Sunday, 8 February at 2:00 p.m., Kort & Klein will be showing at the Cinecitta art house cinema in Tilburg. The two actors playing the leading roles in Alles Mag will be there to answer questions from the audience. Click here for all showtimes and locations. 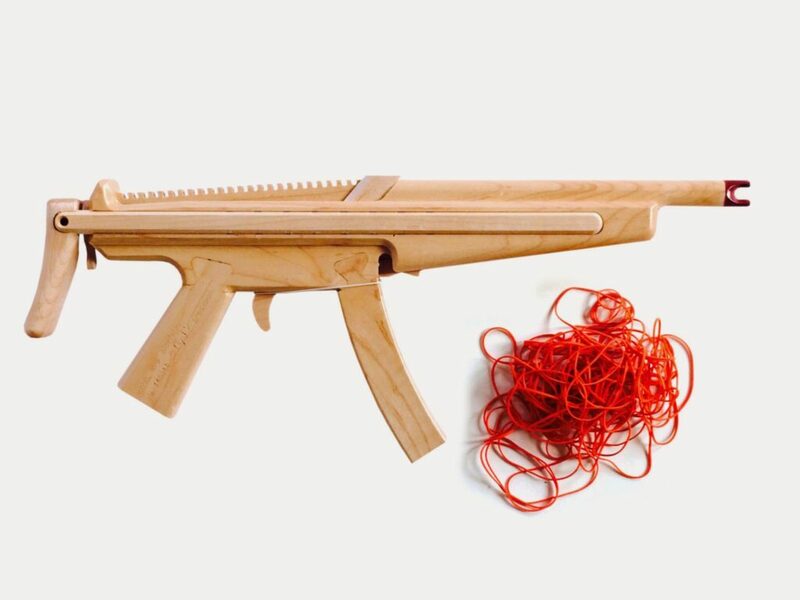 Entitled The Art of Impact, a new programme has been launched by the Dutch Minister of Culture Bussemaker that combines projects focusing on art, culture and society. She has earmarked seven million Euros for these projects for the next two years. Contracted by the six public culture funds associated with The Art of Impact, BIND has made a short inspirational film which features an explanation about The Art of Impact given by the minister, and provides a look at projects which embody the programmes’ basic premises in a variety of ways. View the trailer for Gluckauf, the new feature film from Remy van Heugten that will be playing in cinemas starting on 29 January. 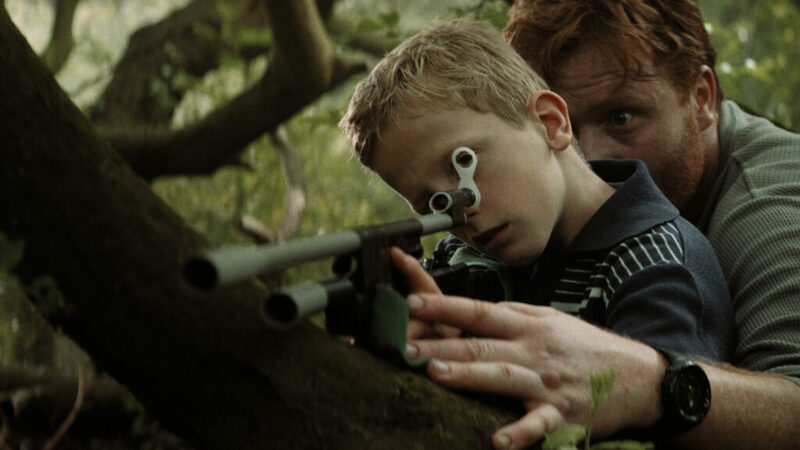 The film tells the story of the stifling love between a father and son, played by Bart Slegers and Vincent van der Valk. Gustaaf Peek (Godin, Held, Ik Was Amerika) wrote the screenplay. On Monday, 26 January, right after the world premiere in Rotterdam, Gluckauf (Son of Mine) will make a festive premiere in Kerkrade. 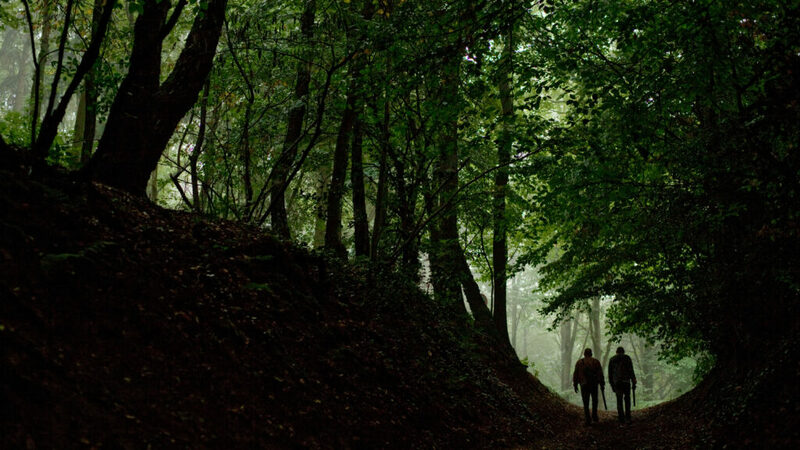 The new feature film from the Limburg director Remy van Heugten takes place in the province of Limburg just after the closing of the mines in the region. This premiere is linked to the M2015 event, the Year of the Mines. In 2015, the former mining district will be celebrating its past, present and future with a diverse programme of activities. M2015 will be organising a fringe-event programme in Heerlen to be held around the time of the premiere of Gluckauf in Limburg. The filming for Dos Santos, a short fictional film by Kees-Jan Mulder and Maarten van Voornveld, is complete. We were lucky enough to be allowed to shoot scenes for Dos Santos in the Bijlmer prison complex in Amsterdam, something for which permission is rarely given. This helped make these days shooting an unforgettable experience for the entire cast and crew. We can’t really reveal too much about it at this time, but when it comes to projects at BIND, we have been hard at work on the development and realisation of a new, large-scale event to be held at the Maasvlakte in 2015. We are incredibly excited about it, but it is so top-secret that we can’t do more than give you this tiny peek at this time. Follow us on Facebook and keep an eye on this website for the latest news about this Mystery Project! The PR campaign for Gluckauf (Son of Mine) has gotten off to a flying start. Mine Again, the theme song that singer-songwriter Douwe Bob wrote just for the film, made its radio debut in late November last year during 3FM DJ Giel Beelen’s morning show, followed by a live performance of the song on the popular Dutch television programme, De Wereld Draait Door. During a show that was viewed by no fewer than 1.6 million people, a fragment from the film was shown and presenter Matthijs van Nieuwkerk announced that Glucklauf would be premiering in late January at the Rotterdam Film Festival. DWDD then shared the Gluckauf trailer with its 225,000 followers on Facebook, and within 24 hours, it had been viewed over 40,000 times. And if that wasn’t enough, director Remy van Heugten was also given the opportunity to pitch Gluckauf during the show that aired on 7 January during the Filmpitch 2015 segment. 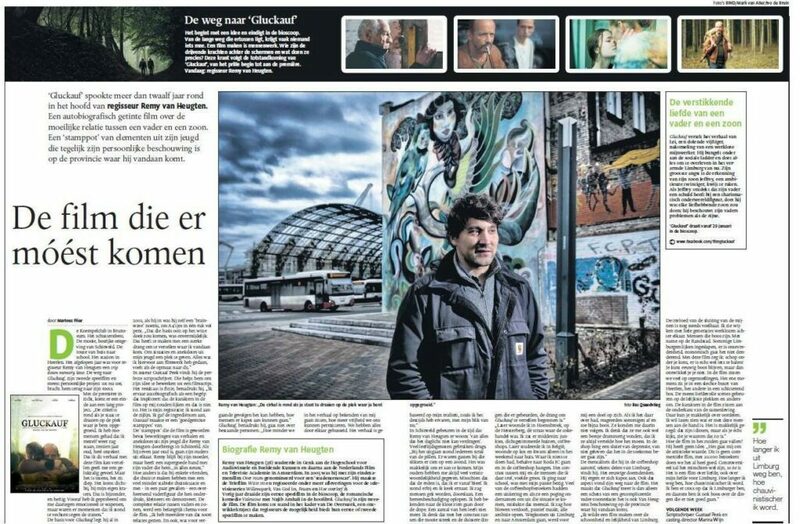 In a series entitled ‘The road to Gluckauf (De Weg naar Gluckauf)”, the regional newspaper De Limburger published weekly interviews in the run-up to the premiere with members of the cast and crew about the realisation of Remy van Heugten’s new feature film. On 8 December, Dutch singer-songwriter Douwe Bob, who wrote the theme song for Gluckauf (Son of Mine), performed a shorter version of the song entitled Mine Again on the popular television show De Wereld Draait Door. Fragments from the film were projected in the background. If you were not one of the 1.6 million people who watched the programme on 8 December, or if you can’t get enough of this song (neither can we! ), watch and listen here! Shooting footage for a film for the NS about the evacuation of trains during disasters in tunnels, our film crew was the first that was allowed to film in the new Delft rail tunnel. After five years of major construction works, this tunnel will be put into use for the first time on 28 February. The cat is out of the bag! 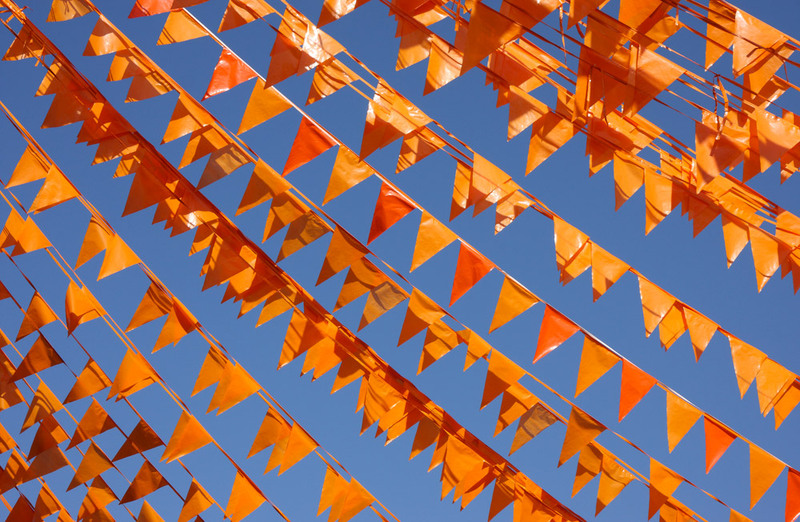 The Alles Mag (Anything is Possible) team is getting to work on a new film entitled Koningsdag (King’s Day). The film will be realised within the scope of Nu of Nooit! (Now or Never! ), an incentive project created by the Mediafonds and Z@pp for the development and realisation of a culturally diverse, 25-minute children’s drama for Z@pp’s oldest target group (8- to 12- year-olds). 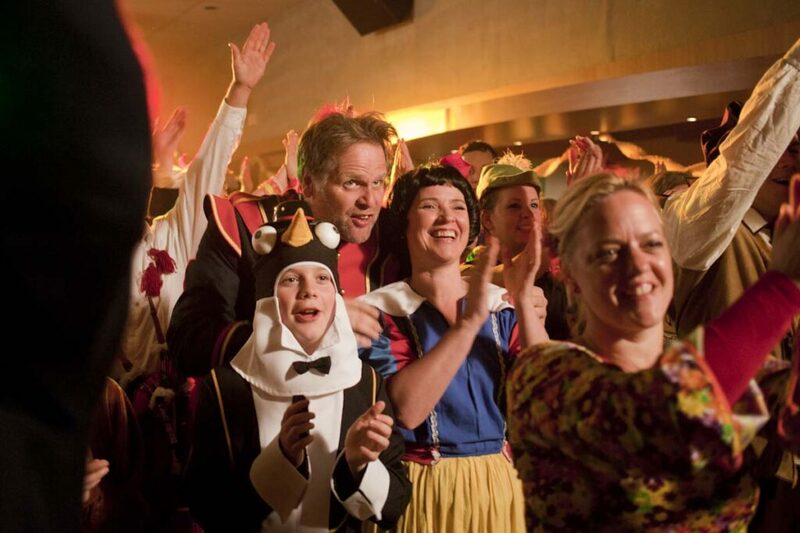 Alles Mag (Anything Goes) has been nominated for an Emmy Award in the category Kids: TV Movie/Mini-series. ‘This is a huge compliment to everyone who worked on the film. I never dared to dream that the film would be nominated for an Emmy,’ director Steven Wouterlood says. ‘It’s amazing to realise that the film has been seen all over the world, from Toronto to Tokyo, and has touched so many children and adults.’ Alles Mag was the only Dutch film nominated this year. Last year, our short children’s film Mimoun was also nominated for an Emmy in the same category. At the awards ceremony in late February 2015, we will find out whether or not we can bring this prestigious prize home with us. 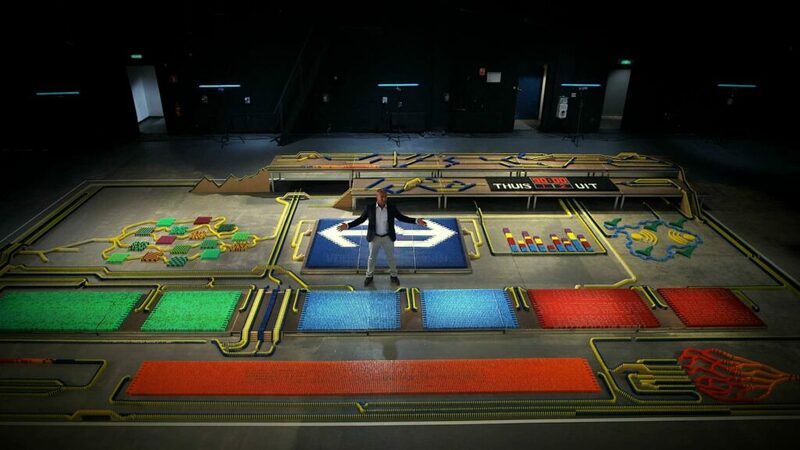 In one of Amsterdam’s largest film studios and as contracted by BIND, the Dutch Domino Team built a gigantic domino field non-stop for five days, using more than 60,000 dominoes. The field is meant to represent the safety management system of the NS, and is an important part of a film we made for an internal training programme about safety on and around the railway. 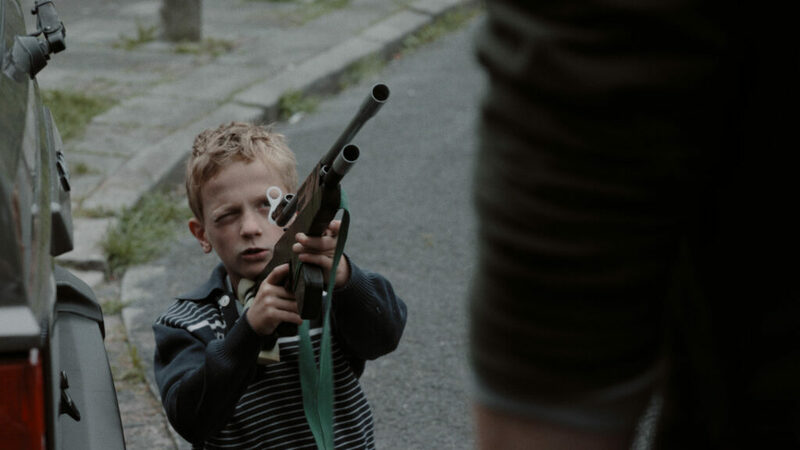 After all the international nominations and awards, Alles Mag has now also managed to win an award on its own turf: the Dutch Cinekid Kinderkast Jury Prize for fiction. The Kinderkast awards are presented every year during the Cinekid Festival in Amsterdam for the year’s best Dutch-language children’s television programmes in the categories fiction and non-fiction. 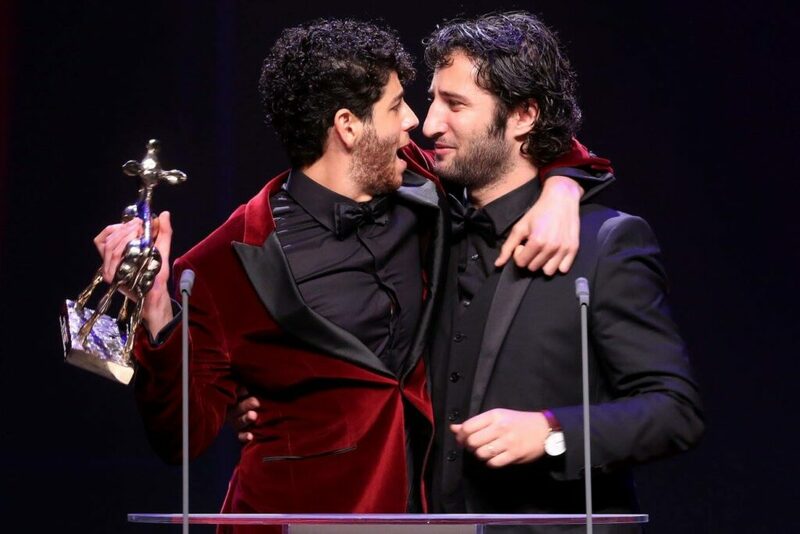 The award was accepted in person by the actors playing the starring roles in the film, Lars Jennissen and Indy Aponno. 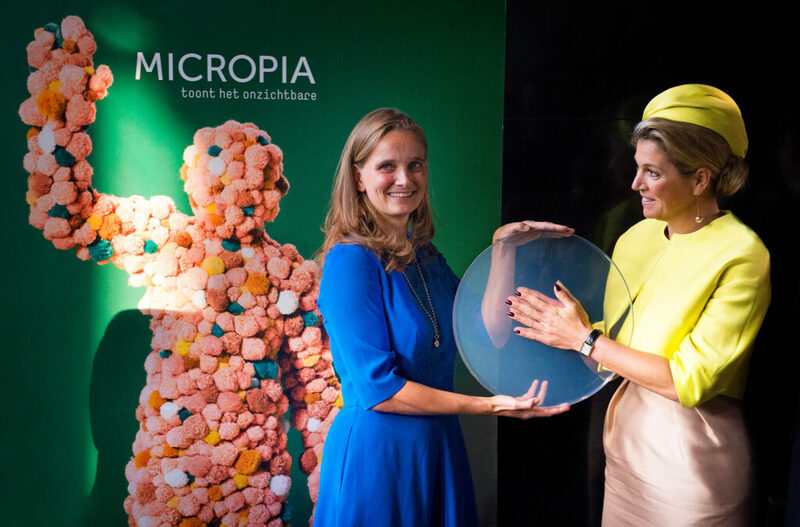 Queen Máxima opened Micropia and BIND was there. Micropia is located in the historic members’ rooms (Ledenlokalen) at the new Artisplein (Artis Square). This is the world’s first museum that makes the invisible world of micro-organisms visible. Working with five different animators, BIND developed 13 animated films for Micropia, each with its own style and technique, which appear at various locations throughout the museum. Lydia Koopmans was responsible for the final editing and creative direction for this animation project that took a year and a half to complete. 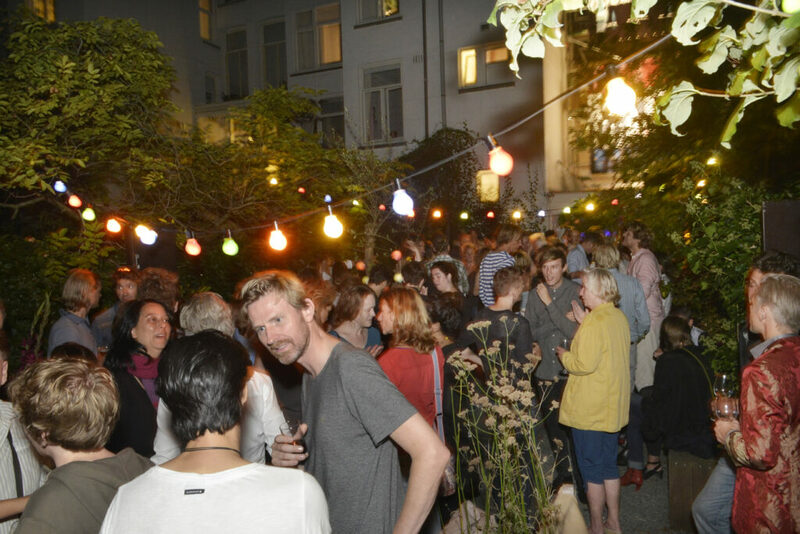 One year after BIND first saw the light of day, we celebrated our first birthday in our garden and office complex on the Stadhouderskade until deep in the sultry late-summer night with hundreds of clients, makers, friends and family. We talked, laughed, ate, drank, networked and danced our hearts out. There was no better way to close BIND’s first year in business and start the ‘new’ year! 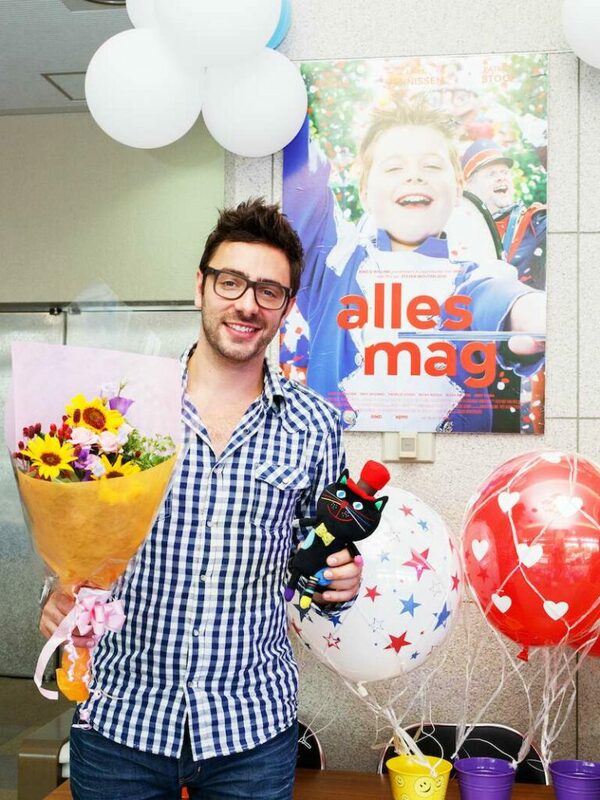 Alles Mag has won the children’s jury prize at the International Kinder Filmfest in Tokyo for best short film. Director Steven Wouterlood was at the festival for Q&A and signing sessions, and to accept the award in person. Mimoun has been nominated for an Emmy Award in the category Kids: TV Movie/Mini-series. 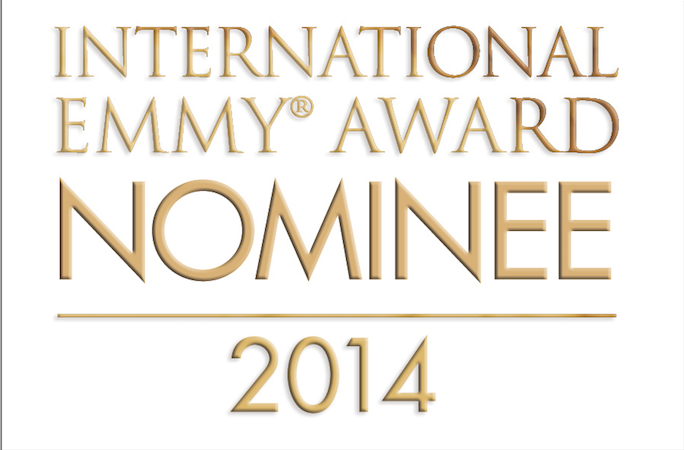 The International Emmy Kids Awards will be presented at a ceremony in New York in February 2014. 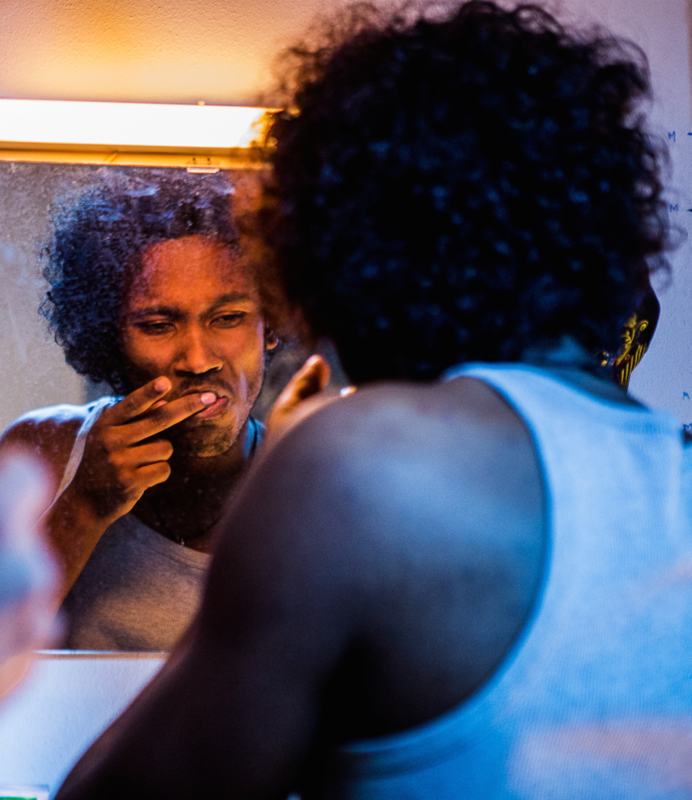 De Leerling (script & direction by Rutger Veenstra), a film about a teacher who is terrorised by a student, has been selected for One Night Stand #10. The second film that we are going to produce for One Night Stand is Een Goed Leven met een Gelukkig Einde (A Good Life with a Happy Ending), the script for which was written by Aaron Rookus and Saskia Diesing (directed by Aaron Rookus). Both films will premiere at the 2015 Netherlands Film Festival, and will be broadcast on NPO 3 in late 2015. One Night Stand is one of the most important incentive projects for talented film and television makers in the Netherlands. BIND has won the distinguished Prix Jeunesse European television award for Mimoun. The Prix Jeunesse is one of the most important television awards in the world for children’s programmes, and is also referred to as the Oscar of children’s television awards. Mimoun won the award in the category Short Fiction Children’s Film for children 12 and under. BIND has made a documentary about the background of what is known as the ‘culture of mediocrity’ in the Netherlands. In Waar een klein land groot in moet worden (The great things a small country should achieve), opinion leaders, child experts, scientists and teachers working in the field of education all share their experiences. They all offer their vision on the development of talent and excellence in education. The objective of the film is to encourage education professionals to enter into a dialogue with their colleagues, the school administration, parents and pupils so that every pupil has the opportunities and incentives they need to develop to their full potential. Alles Mag (Anything Goes) has won the TIFF Kids Jury Award for Best Live-Action Short Film in Toronto. From the jury report: ‘We selected this film for its excellent acting, its compelling images, its creative structure, and for constantly surprising us.’ Director Steven Wouterlood and screenwriter Maarten van Voornveld were in Toronto for a few screenings and Q&A sessions, and to accept the award in person. 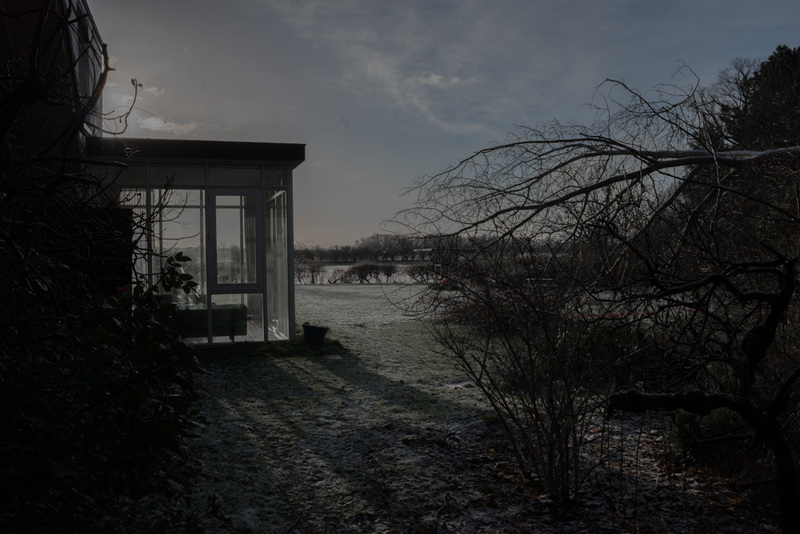 The Film Fund supports the development of the feature film, Ogen Dicht (Eyes Closed) written by Liesbeth Wieggers. Jorien van Nes will be directing the film. Mimoun has received an international nomination from the Banff World Media Festival in Canada for the category Youth – Fiction Programs. We will be competing against Baron Münchhausen, Degrassi and Heartland for the prestigious Rockie Award. The film Oom Henk (Uncle Hank) won a Grand Award at the Houston International Film Festival. After accepting the awards, scriptwriter Bert Bousma immediately sent the following text message: ‘Uncle Hank cleaned up in Houston.’ In addition to the REMI for best foreign film, this film from director Elbert van Strien and produced by BIND also won the Special Jury Award. The WorldFest in Houston, Texas is the oldest independent film festival in the world. Greats such as Steven Spielberg, George Lucas and David Lynch won their very first awards at this festival. 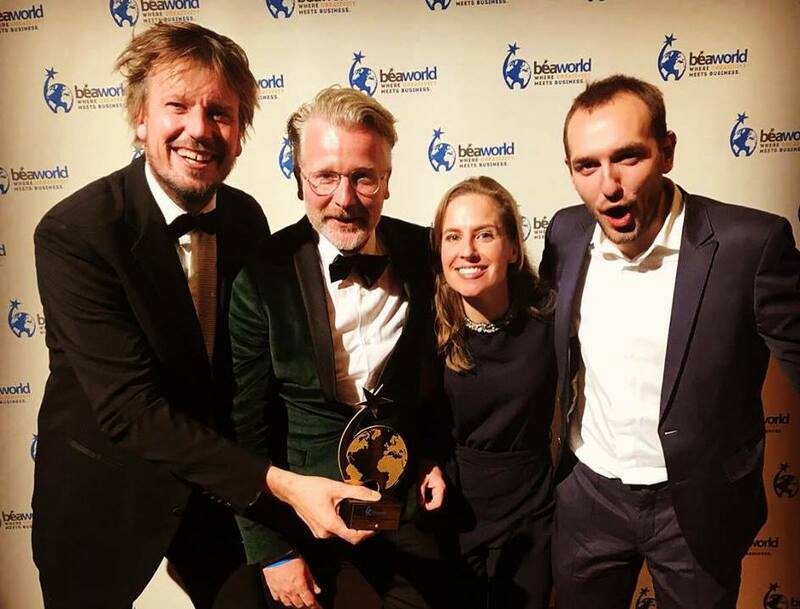 Together with the Rotterdam Port Authority, BIND was nominated for the Golden Giraffe in the category ‘Effective’ with the project Closing of the Maasvlakte 2 Seawall. 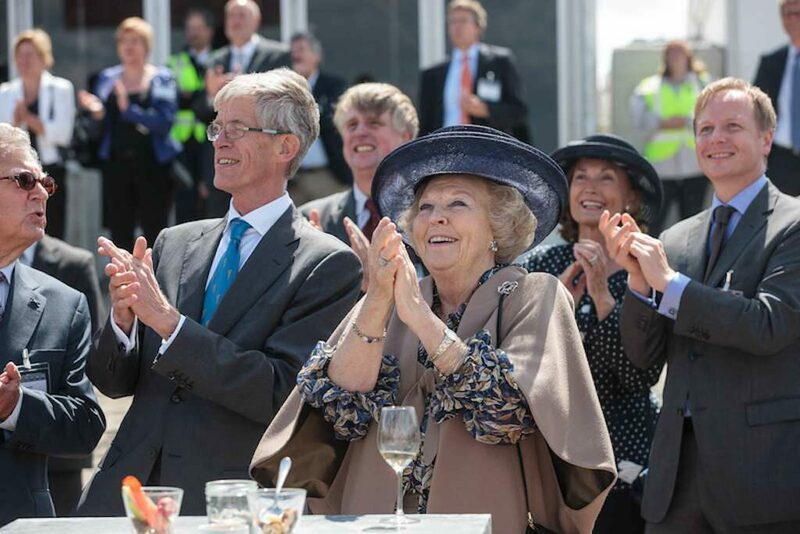 BIND was responsible for the creative concept and the realisation of the event celebrating the closing of Maasvlakte 2 which was attended by Queen Beatrix and 600 guests. The NOS broadcast the event live on the Dutch television channel Nederland 2, and it also received worldwide attention in television news programmes, newspapers and other media. 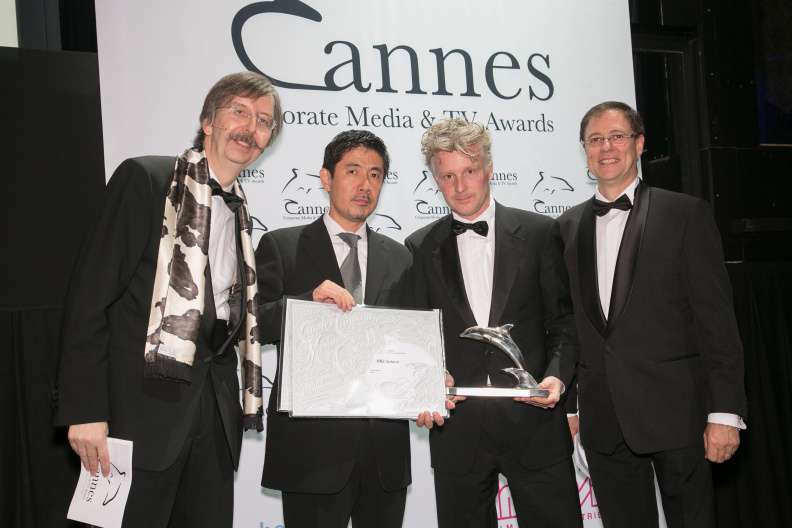 BIND won the Silver Dolphin award at the Cannes Corporate Media & TV Awards. We received this award for the category Internal Communication for the film, oNS Verhaal (Our Story), which we made on a commission from the Dutch Railways (NS). oNS Verhaal tells the ‘real’ story behind the NS, and provides a glimpse into the day-to-day workings of this enormous organisation. The film provides a visual depiction of one of the most well-known companies in the Netherlands using spectacular helicopter footage, among other techniques. oNS Verhaal provides a clear picture of just how important the NS is for the Netherlands. The Netherlands was treated to live coverage of the closing of the seawall at the Maasvlakte 2, the name for the project involving the expansion of the port of Rotterdam. The closing of the seawall was celebrated with a large-scale event, devised and realised by BIND and held on the newly reclaimed land. The celebration culminated in the official honours done by Queen Beatrix, signalling permission to close the hole in the dyke. The event was a spectacular combination of physical activity (cranes, boats, bulldozers) and images and music. With this event, we hoped to emphasise that this expansion of our land represents the addition of yet another highlight to our hydraulic engineering history. We are incredibly proud to have had the opportunity to develop and realise the creative concept for this historic event which was broadcast live by the NOS and which received worldwide attention in television news programmes, newspapers and other media. 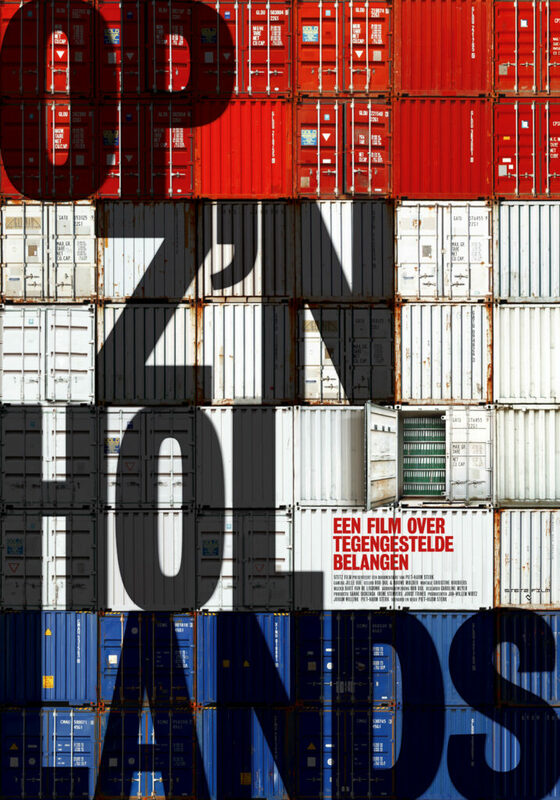 Anyone who is particularly interested in seeing what preceded the expansion of the port of Rotterdam should see the documentary Op z’n Hollands (Typically Dutch), a film that Piet-Harm made about both the advocates and opponents of the Second Maasvlakte during the last throes of the decision-making process. One of these individuals is the former mayor of Rotterdam, Ivo Opstelten. Beautifully filmed by cameraman Jelle Odé, this documentary clearly shows how one man’s gain can be another man’s loss. 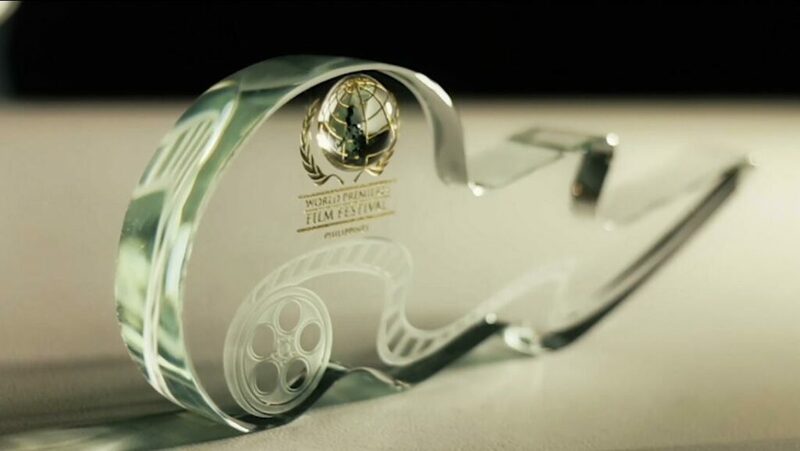 Mimoun won the award for best short film of the year at the LUCAS international children’s film festival in Frankfurt. 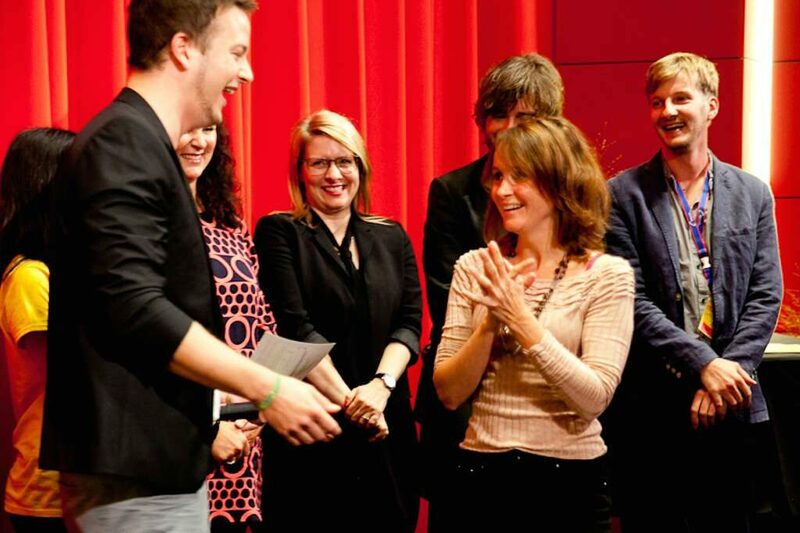 Screenwriter Cecilie Levy accepted the award on behalf of the Mimoun cast and crew. Director Tallulah Schwab’s short children’s film Mimoun has been selected to compete at the Brooklyn Film Festival in New York.